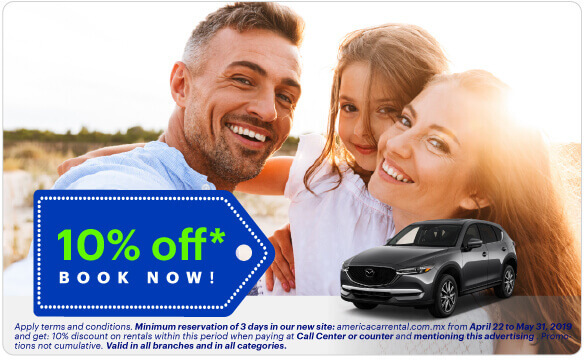 With the modern trucks and cars of America Car Rental, traveling the streets of the City of Monterrey will be simple and fast, whether you need to visit a customer, attend an important event or, drive and explore the beautiful surroundings of the northeast from Mexico. Drive and travel freely Monterrey in total comfort and safety, and without having to wait for public transport or someone to pick you up. For your convenience, we are available 365 days a year at our Monterrey Aeropuerto branch, so you can easily and quickly rent a car or truck upon your arrival in this beautiful city. WHAT TO DO IN MONTERREY? 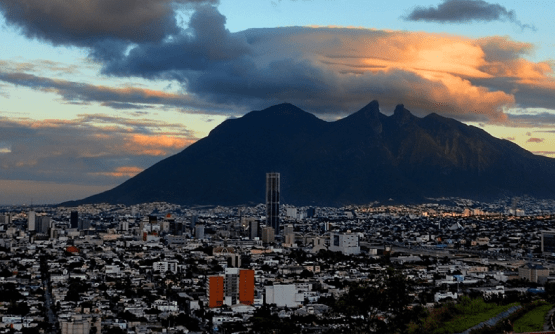 The Sultana del Norte, as the city of Monterrey is also known, is a modern city with impressive business infrastructure and industrial parks, as well as convention centers with cutting-edge technology, as well as prestigious educational institutions. For the pleasure traveler, Monterrey offers a wide range of tourist, recreational and cultural spaces, as well as natural attractions for ecotourism and adventure sports. Home of the roasted kid or calf and machaca with egg, are two of the typical dishes of the region that you can not miss. 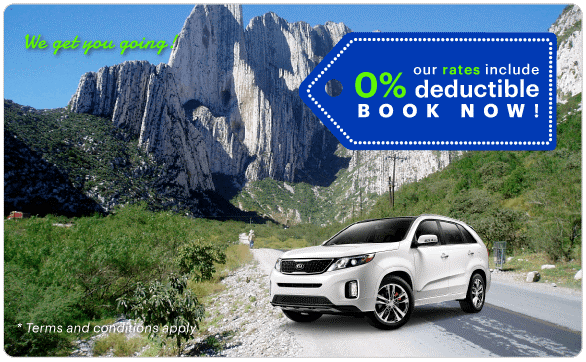 With the car rental in Monterrey, you can fully enjoy, at your own pace, all the places of interest, attractions and the surroundings of the city. Paseo Santa Lucía, a sailable river that links the Macroplaza with Fundidora Park. Restaurants, cafes, bars and discos of the Old Quarter. Go shopping to modern centers, commercial plazas or to Calzada 401. Attend a play, since the city has a wide range. Take a tour to practice abseiling or canyoning. Spend a cultural moment in one of the museums such as the Museum of Contemporary Art, the Regional Museum of Nuevo Leon, the Museum of Monterrey or the Museum of Glass. Spend the day at the Bioparque Estrella, a nature reserve with a great variety of animals. Take the little ones to Parque Plaza Sésamo, Mundo de Adeveras or Kidzania. Enjoy a day outdoors in the Chipinque Ecological Park or in the Huasteca Natural Park. Explore the Magical Towns of the state of Nuevo León. * Apply terms and conditions. Let us help you and offer you a fast and efficient service at our branches of America Car Rental Monterrey. It is VERY easy to rent a van or rent a car in Monterrey! We have the perfect ones for you!